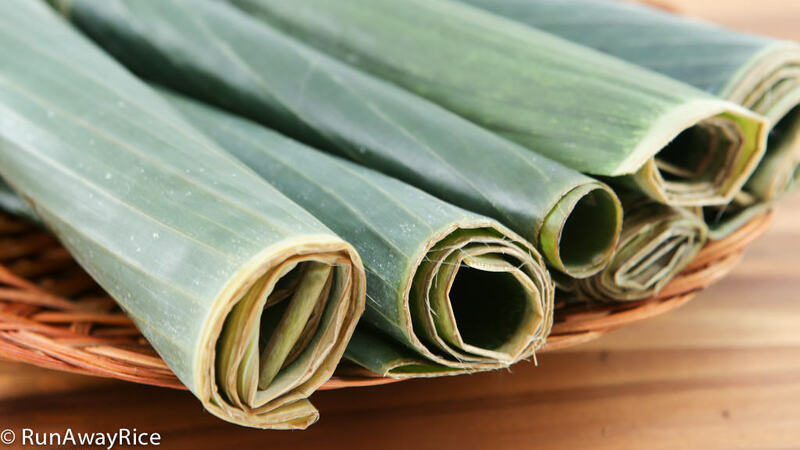 Many classic Asian dishes use banana leaves and if you’re daunted by how to prepare them, this short video will walk you through the easy steps. Banana leaves are not eaten, but commonly used to wrap foods which are then steamed, boiled, grilled or even baked. The leaves impart a wonderful aroma and lovely color to foods they are wrapped in. Prepping the leaves appropriately is crucial for the cleanliness and success of any dish as banana leaves can be extremely dirty. Have you noticed on the package it always shows “Wash thoroughly before using”? The washing process is fairly simple and cannot be skipped so check out the video for a quick how-to! If you enjoyed this post, you may also like: Quick Guide to Vietnamese Herbs. Banana leaves are fairly inexpensive here in the US and can be found in most Asian and Latin grocery stores. 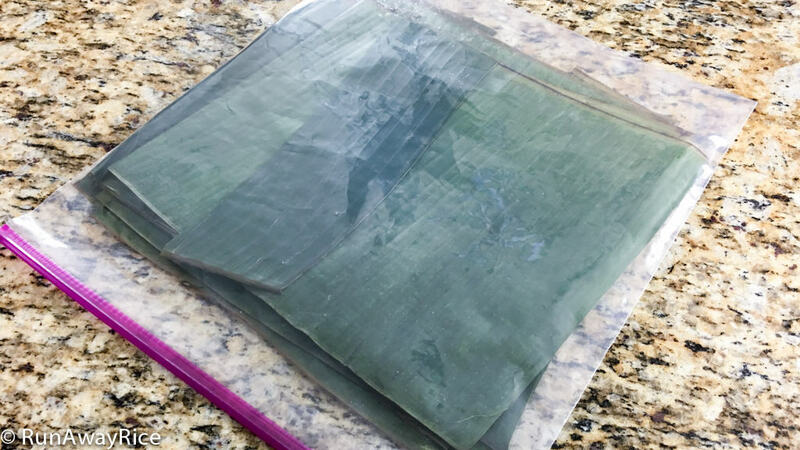 A package of frozen banana leaves typically costs less than $2.00 and contains about 4-5 large leaves. There will be some sections of the leaves that are torn or damaged, and therefore, not useable. When planning for dishes using banana leaves, I typically buy twice the amount needed. I adjust for the fact that not all leaves in a package will be useable or the right size. Also, I always prepare extra leaves because they can tear during washing or when wrapping foods. Thaw the leaves at room temperature for 1 hour. Optionally, run under hot water to quickly thaw the leaves. It’s easier to clean smaller sections of leaf so if you know the size you need, cut them first and then wash. The leaves are delicate and tear easily especially when wet. Wash and wipe the leaves in the same direction as the veins to avoid tearing them. Most leaves have a thick spine which can make it difficult to wrap your foods. Cut off the spine after washing and not before as the spine helps to prevent the leaves from splitting and tearing. Store the cleaned leaves in the refrigerator and use within 2 days. If not using right away, return to the freezer and use within the month. Hi Trang, I just googled and found your blog. You make everything looks so nice, clean and tidy. instructions. I’ll try to make bánh tét chuối and bánh chưng following your recipes. if you do not have twine, the banana leaf’s spine are usually flexible enough and won’t snap when tied. If it’s too brittle, your can always soak in warm water to soften them. Great tips Faye, thank you for sharing! I’m brand new to your blog. I love your recipe for Bánh Chung! Im gathering the ingredients and will attempt to make a few this week! I haven’t tried the cloth for cars but it sounds like it would be super absorbent. That’s a nice tip. Thanks for sharing! Hi Trang, thank you so much for a show preparing a bananas leaves, I hope you can show us how to make Banh Tet for our new year come.